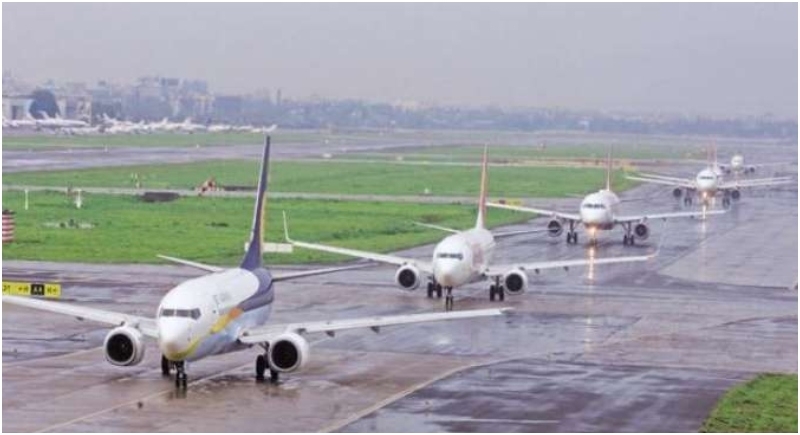 New Delhi, January 25: Striving hard in maintaining and boosting connectivity, the Central government has decided to renovate and develop around 400 abandoned airstrips across the country to strengthen air-connectivity. Like the proposed Dhalbhumgarh airstrip that had been developed by Britishers during the World War II in Ghatsila sub-division of East Singhbhum district, Secretary of Union Civil Aviation department R N Choubey said there were 400 such airstrips lying abandoned across the country. He further added that the air strips were all our assets and we are willing to renovate them and develop those strips as modern airports with the respective state governments to improve air connectivity. He was addressing a gathering after Union Minister of State for Civil Aviation Jayant Sinha and Jharkhand Chief Minister Raghubar Das performed the ground breaking ceremony for a proposed airport in Dhalbhumgarh, about 65 km from here, under Ghatsila sub-division of East Singhbhum district. The ministry is taking all possible efforts to set up an airport at Jamshedpur, considered the industrial capital of Jharkhand. On the directive of Prime Minister Narendra Modi, a drive has been launched to renovate and develop abandoned airstrips to improve air connectivity. The Airports Authority of India prepared a Memorandum of Understanding in this regard and sent it to all the 29 states and seven Union Territories expressing its willingness to develop those air strips along with the respective state governments, he said. Jharkhand was the first state in the country where an MOU was signed to develop one such air strip at Dhalbhumgarh. A modern airport at an initial investment of Rs 100 crore would be developed at Dhalbhumgarh, about 65 kms from here, and the first phase of the airport would be completed in 18 months. The airport will benefit adjoining states like West Bengal and Odisha and help push up economic growth as well as generate employment opportunity. Referring to the growth in the aviation sector in the state, the chief minister said only 1,500 passengers used to travel by air per day in the state with only eight passenger aircrafts in operation before December 28, 2014, when he came to power. However, the figure has jumped to 60,000 passengers travelling by air per day during the last four and half year tenure of Prime Minister Narendra Modi. He said around 25.50 lakh passenger travelled by air in 2018, which was indicative of increased purchase capacity of the people.